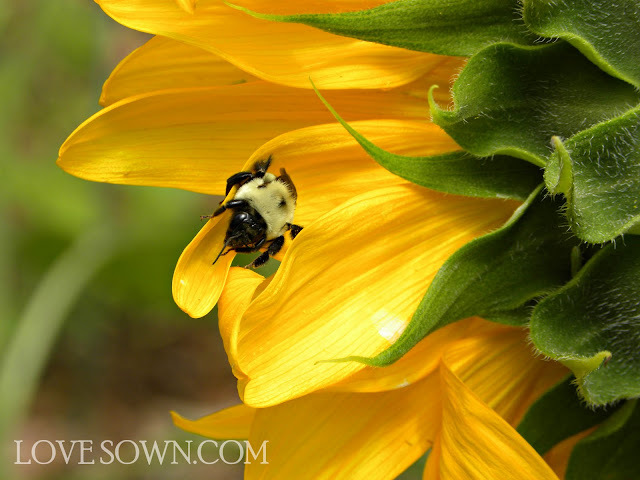 Last summer's garden was such a disappointment - even the bees wouldn't come visit it. I'm not sure what happened exactly, because I had bees early in the season, but they disappeared as soon as things heated up. 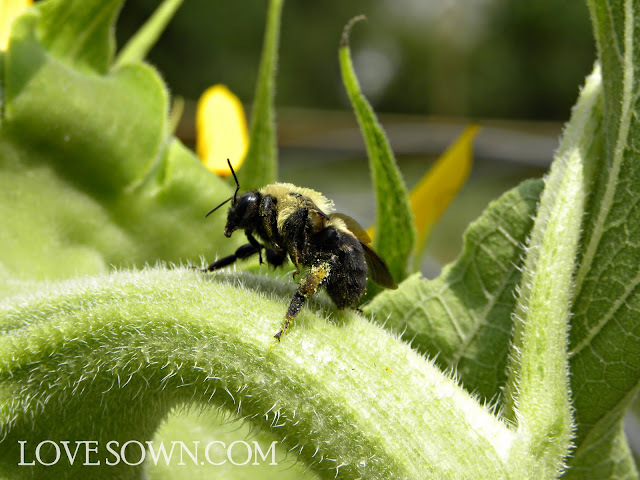 Even with attempting to self-pollinate the tomatoes and squash, production was abnormally low. This Spring I loaded the garden with sunflowers seeds, flower bulbs and wildflower seeds hoping to entice the pollinators with something a little better than the clover that keeps taking over the lawn. My two kinds of lavender blossomed and I let some of the oregano blossom rather than pruning it all back. Sure enough, the bees are thrilled with the changes and have been repaying the favor by pollinating my veggies. There are tomatoes growing all over the vines and I haven't had to use to vibrating toothbrush yet! 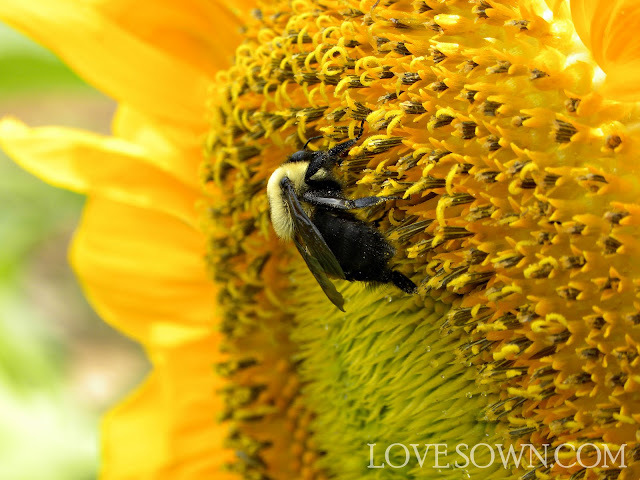 It is entertaining watching them go to work on the sunflowers. They seem to love all parts of them and are so busy that they don't mind my inquisitive eye or camera lens. 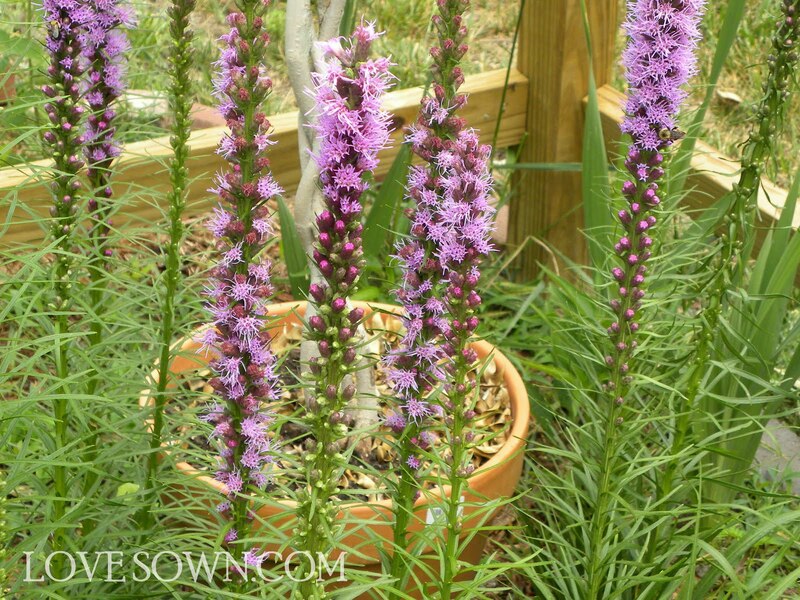 Their favorite flower is Liatris Spicata, which I purchased in a box of mixed plants labeled as "Butterfly Garden". I've had plenty little yellow butterflies stop by, but the bees are driven mad by the purple-lavender spires.